Jetstream’s Spectrum CSP Dish System is powered by the Company’s new high efficiency light integrating optic system (“HELIOS”) module. Incorporating solar cells manufactured by the global leaders in concentrating solar cell technology, the concentrating photovoltaic (CPV) modules are capable of producing 10 kilowatts of electricity and can perform in a wide range of locations and conditions. A megawatt of generation can be developed on only 3.8 acres of land. One in four people in the world still have no electricity. Demand related to rising prosperity in China and India will have a profound effect on world energy markets. Jetstream’s Spectrum CSP Dish System provides a reliable cost effective solution to the ever-increasing need for energy. Concentrating Solar Power (CSP) is the fastest growing form of renewable energy generation with almost 3,000 megawatts under construction today, and it is predicted to exhibit high double-digit growth in the coming years. 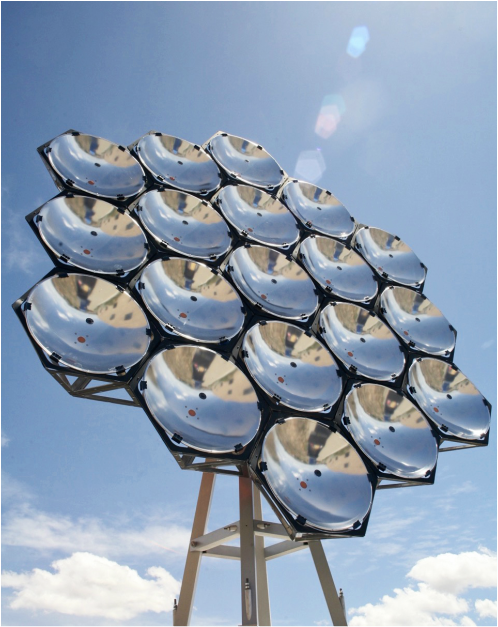 Concentrating Solar Power (CSP) has proven to be more efficient than any other solar technology, producing more than twice the clean energy for approximately half the cost of photovoltaic systems and for more hours, each day. Jetstream is the low cost producer of CSP dish systems. This provides a competitive edge for Jetstream via its aggressive electricity pricing for the customer. Jetstream is positioned to sell electricity to a variety of large-scale customers including electric utilities, governments, as well as industrial and larger commercial electrical consumers. Each system can be either grid-tied or stand alone as a distributed generation system.